Canon 50D, 85mm. lens, Ioptron sky tracker. 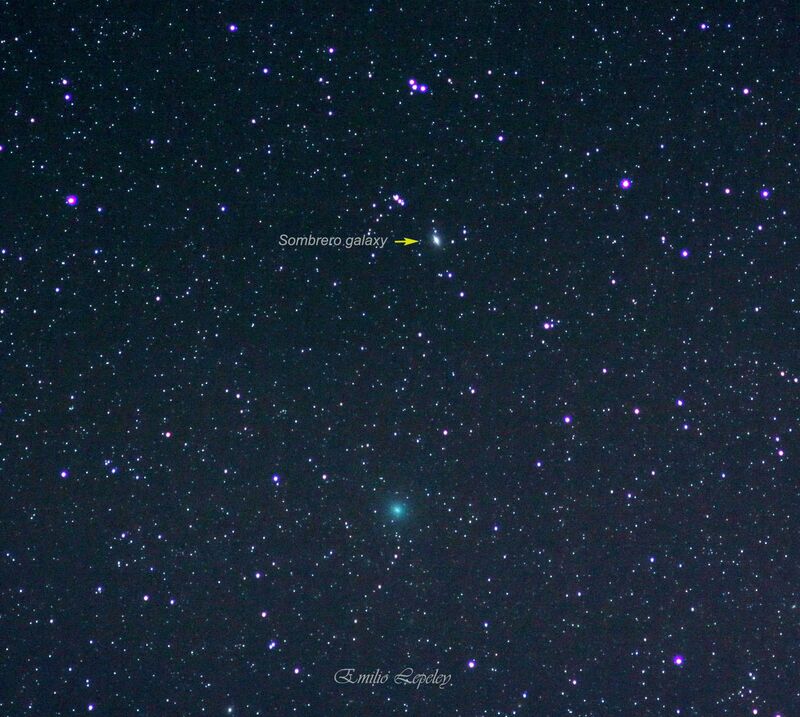 Comet C/2018 Y1 (Iwamoto) and Sombrero galaxy very close in Virgo, less than 2 degrees.